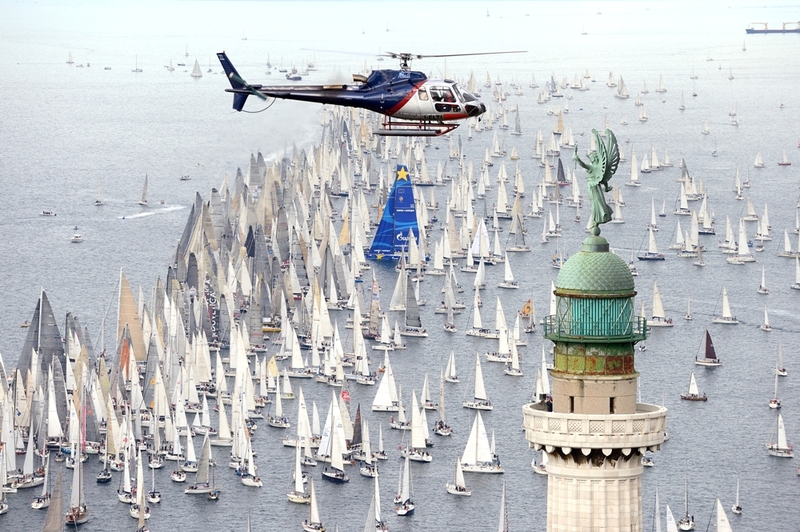 Once again, the Barcolana regatta lived up to its reputation, as 1,562 yachts gathered at the sea festival in the Gulf of Trieste. Starting the race with so many yachts was a huge challenge for all the crews, but Esimit Europa 2 performed a clean start in very light winds and immediately took the lead on the 13.2 nautical mile long course, which was then shortened due to lack of wind. The Esimit Sailing Team, composed of all-star sailors from 10 European countries, worked really hard and crossed the finish line first at 12:16 CEST with an elapsed time of 2 hours and 16 minutes. 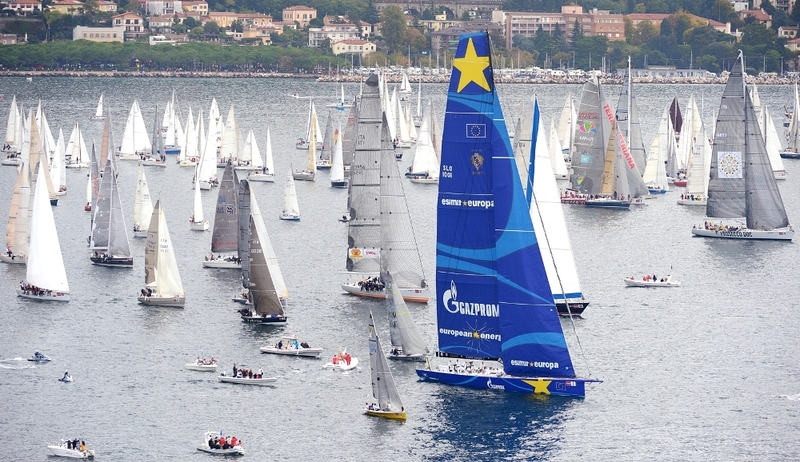 By doing so, they achieved the fourth consecutive line honours in front of thousands of spectators at a true sailing festival in the heart of Trieste. The second-place yacht was Aniene (ITA), while placing third was Tutta Trieste (ITA). 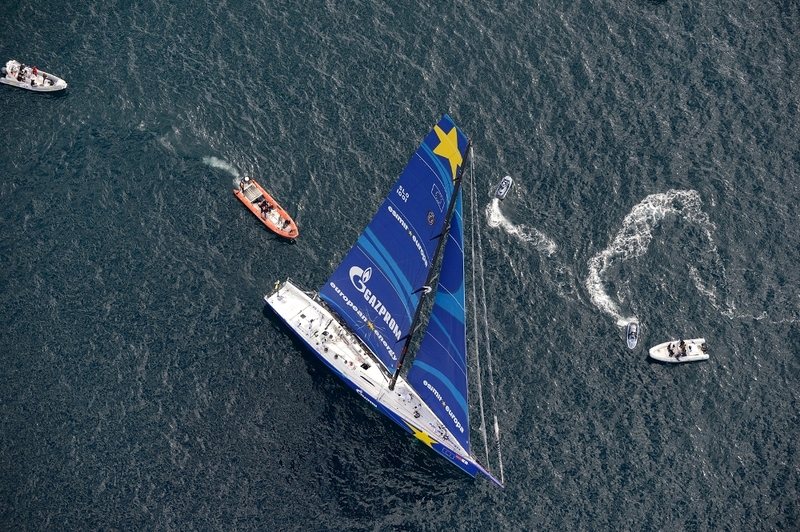 “Being at the starting line together with so many yachts is really challenging, even dangerous. Combined with light winds, which favoured the smaller yachts, it was a difficult race. At the end I am very happy that we won it. I am very satisfied with the performance of the team as well as that of the yacht. I am looking forward to setting sail now towards Malta for the season’s last challenge, the Rolex Middle Sea Race, and on the way there trying to set a new passage record between Trieste and Valletta,” said Jochen Schümann, skipper of Esimit Europa 2. The Esimit Europa 2 yacht achieved its fourth consecutive line honours victory at Barcolana and its 28th in a winning streak since its christening in 2010. In 2013, the route of the course changed from 16.8 to a shorter 13.2 nautical mile route, extending the distance between the first and second mark and placing the third mark further offshore. Shortly after Barcolana, the Esimit Sailing Team will set sail towards Valletta, aiming to establish the record for the passage between Trieste and Valletta, recognized by the World Sailing Speed Record Council. Future monohulls which break the established record between the Barcolana and the Rolex Middle Sea Race will be awarded with the very special Medot Sailing Trophy.